Home Food ReView Battle of the Burgers! Indeed, hamburgers make great comfort food. Aside from being delicious, it has a lot of varieties. From a solo plate to a barkada treat size. They satisfy. You get a meat hit. You relax. You recover. And they don’t cost the earth. You don’t even need a knife and fork. You can eat them on the go. Nowadays it seems like every chef or restaurateur is selling burgers. I've eaten a lot of burgers in my existence and I must say, this is something I can’t get rid of from eating. Burgers are appealing too. Burgers are popular because burgers are good. And for that, I have collected the 3 best hamburgers of the 3 biggest fast food chains in the Philippines namely: Jollibee, McDonalds and KFC. I will simply do a comparison between these 3 burgers. 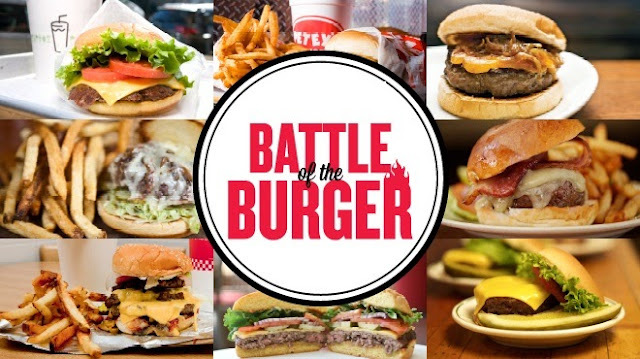 So let the Battle for Burgers begin. 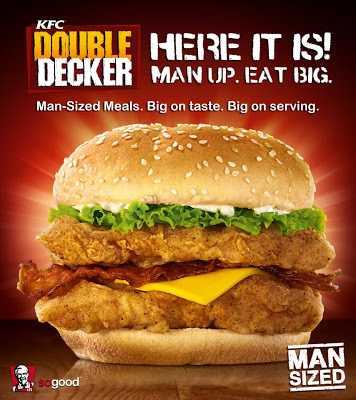 KFC Double Decker is a massive chicken sandwich with all the trimmings. It basically consists of two big original recipe fillets, strips of bacon, lettuce, cheese and dressing. Of course, don't forget the bun because all burgers has. I will rate this burger 2/5. This is a good addition to the menu, however, the taste is so typical burger of what KFC always offers but what makes this burger special from other burgers they have is the size proportion. Bigger sized burger. 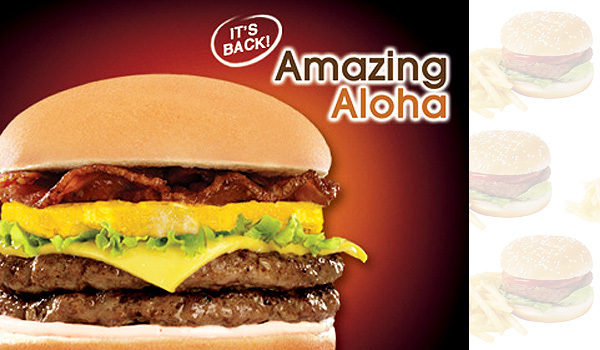 Jollibee brings back the Amazing Aloha, two juicy yam-burger patties, lettuce, bacon, cheese and a fresh pineapple slice. The ingredient that makes it Aloha is the fresh round pineapple slice. Amazing because it really taste good and sounds premium for a fast food type of burger. So, this can be placed into a higher level because of its ingredients combination. However, I find the burger patties too powerful for a slice of pineapple. -And I will give this burger 3.8/5 rating. 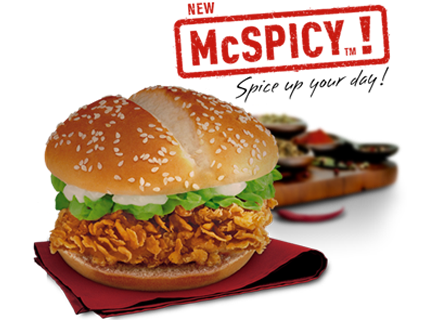 McDonald's McSpicy will definitely spice up your day with its 100% whole chicken meat, crunchy lettuce, flavorful dressing in between perfectly toasted sesame seed bun. Looks ordinary but when you try it, you will feel the heat stroll from your tongue and spread all around your mouth. This burger deserved a 4.4/5 rating. If you hate spicy burgers, then this one is a must try to prove yourself that you actually love spicy burgers. I mean, it’s not actually spicy but the burger is addicting. Photo on the ads and commercials are way far from how it realistically looks. As expected. As always. All burgers will simply leave your tongue wanting for more. However, I am still looking for a burger that I see it in a way that you can fell in love with it and get addicted to it very quickly, like the perfect mean comfort food! How I wish that these 3 fast food stores mentioned above can soon offer it to me, -to us. If not then, I hope others will. Thank you for reading!